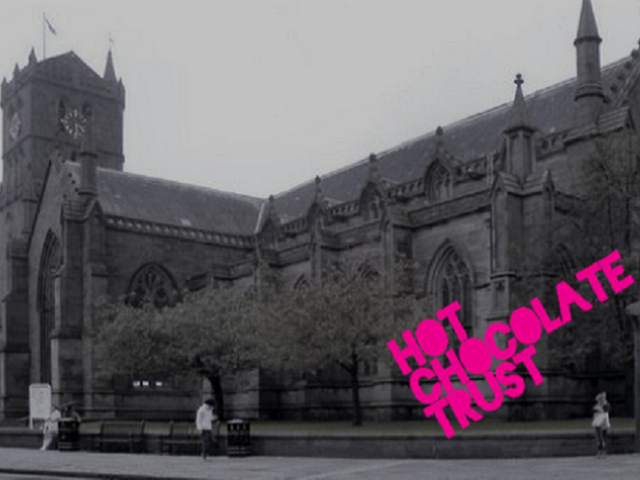 Based in the Steeple Church in Dundee, Hot Chocolate Trust is a registered charity that works with, and supports, young people age 12-21 who hang out in the city centre, to help develop the opportunities that can be available to them. For decades the area outside the Steeple Church was a meeting place frequented by young people often from difficult backgrounds or homes, who often felt they had nowhere else to go. A small group of churchgoers (now known as Hot Chocolate Trust) wanted to change this and provide a safe space where these individuals could meet, socialise with their peers and provide a sense of ‘home’ and thereby provide a support group they may not have elsewhere. Back in 2001, this small group of volunteers ventured out into the cold November weather to build relationships with these young people and provided Hot Chocolate drinks for them to warm up. The rest is history! Avian partnered with Hot Chocolate Trust in 2014 when Scott McCallum, Avian’s Managing Director was keen to locate a worthy local cause to benefit from his fund raising activities supporting a transatlantic sailing race that he was involved in. These efforts culminated in Scott raising an excess of £8,000 for the charity and since then, Hot Chocolate have remained Avian’s charity partner, benefitting from regular donations and monies raised at charity events in which Avian is involved. Avian & Blue2 Digital will be supporting Hot Chocolate Trust again at our Bake Sale and Raffle on Tuesday the 12th March at 12pm. This is being filmed as the ending to a new baking show we are taking part in for the BBC. Feel free to come along, try some yummy treats and hopefully win some spectacular prizes all in aid of a great cause.